Nvidia is to start licensing its graphics cores more widely in a bid to cash in on the need for powerful graphics in smartphones, tablets and other devices. Nvidia will start by licensing graphics cores based on the Kepler architecture, which is used in its latest graphics cards, the company said Tuesday. 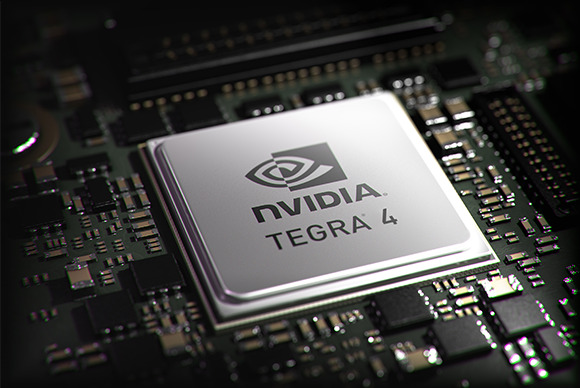 Kepler cores will also be used in Nvidia’s Tegra 5 mobile chip, code-named Logan, which will ship next year. “The reality is that we’ve done this in the past. We licensed an earlier GPU core to Sony for the Playstation 3. And we receive more than $250 million a year from Intel as a license fee for our visual computing patents,” said David Shannon, Nvidia’s executive vice president and general counsel, in a blog entry. “Now, the explosion of Android devices presents an unprecedented opportunity to accelerate this effort,” Shannon wrote. Nvidia will continue to make its own hardware, but licensing its GPU technology will “serve the needs of a large piece of the market,” he said. Nvidia is taking a path similar to that of Imagination Technologies, the main supplier of graphics cores to mobile chip makers. Imagination’s graphics cores are used in Apple’s iPad and iPhone, Samsung’s Galaxy S4 smartphone and other mobile devices. Though Nvidia cited the PlayStation 3 as an example of its licensing, the latest consoles from Sony and Microsoft will use graphics and CPUs from Nvidia’s rival Advanced Micro Devices. Nvidia is trying to make up lost ground with its Shield handheld gaming device, which has a Tegra 4 mobile chip. Nvidia will also license its visual computing patents, Shannon said. It has 5,500 patents issued or pending.